We turned our attention to computer-based modeling of biological systems as a less resource intensive and time consuming alternative to iterative experiments. We had hoped to be able to build a reliable tool to predict the behavior of our co-culture, however, our team lacked the necessary experience in this field. As such, we were happy to be offered the possibility of a collaboration with the iGEM team of Tec-Monterrey. This team, unlike ours, is more experienced in modeling. Where [A] is the population of organism A, CA is it’s consume constant, iA is the Input resources available for A and Am is the maximum sustainable population. Where KA[B] is the influence of organism B on the resource availability to A, KA[C] the influence of organism C and the other variables are defined as above. This is far more simple than our approach. It has however, also produced results that were useful to us. The model provided by Tec-Monterrey took a different approach to the concept of co-culture and it offered us new insights into our model. By allowing us to refocus our attention we were able to bring our own theoretical work to a point that is closer to reality than it had been previously. We also collaborated with team USP Brazil, who also work with quorum sensing. 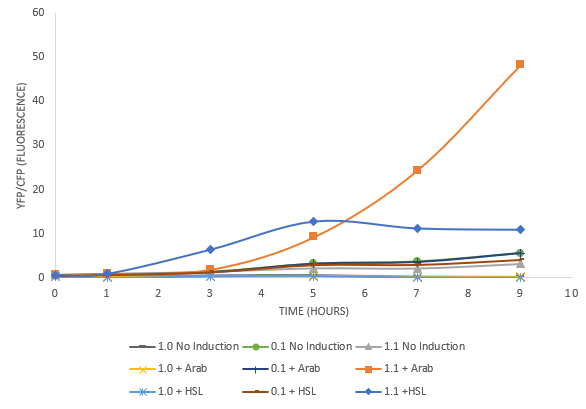 They characterized one of our quorum sensing plasmids and checked the amounts of acyl homoserine lactone (AHL) to be added to achieve a certain amount of lysis. Moreover we also supplied them with n-3-oxohexanoyl-l-homoserine-lactone, a quorum sensing molecule that they required and were not able to synthesize themselves. We were really happy to hear, that the AHL has helped them in characterizing their system. It was able to induce at least one of their systems (Figure 1), showing that their iGEM project cannot only be used to test biological, but also chemical cross talk. Moreover they also tested one of our constructs, which we sent as well with the AHL molecule. They found out, that with concentrations of AHL from 0 mM to 10-4 mM of AHL, barely a difference compared to the corresponding control was visible. This data is consistent with our findings, which show that a minimum concentration of 0.05 mM AHL was necessary to present a visual difference between the uninduced variant. With this we did not only assist a team to characterize a system, by supplying them with a missing molecule, but they also have supported us a lot, by confirming our achieved findings. iGEM Manchester is working on the characterization of different promoters this year. They are creating an assembly of various promoters and asked us to add our promoter to their library. For this purpose we sent them the sequences of all of our synthesized promoters, mostly quorum sensing promoters, and therefore successfully achieved a further collaboration. We were really glad to have successfully collaborated with another team as well. Within a few weeks, they have generated an optimized version of our promoter sequences, by designing the promoter once with decreased and once with an increased activity. They did so by running each sequences through an online algorithm which predicted the -10 and -35 region of each promoter. Then they identified regions in our promoters that would benefit from a point substitution and recorded the likely change in activity associated with the sum of these changes via MatLab. Below you can find an overview with the optimized sequences. The parts that we sent in and are optimized are signalized in yellow. In green are the sequences optimized for increased activity and in red are the sequences optimized for decreased activity. As we all know iGEM is not only about experiments and lab work but also about bringing the topic “synthetic biology” closer to the public. In order to do so the previous iGEM teams of the Heinrich Heine University of Düsseldorf created a postcard exchange project to promote synthetic biology in public using self-designed postcards. 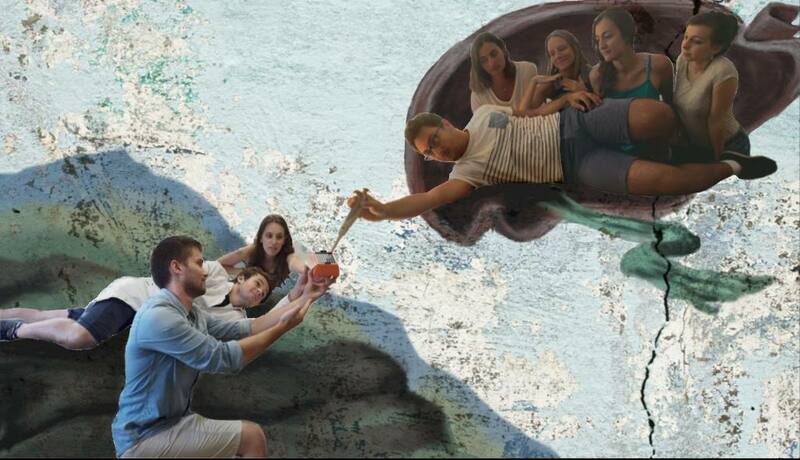 Each year a bunch of iGEM teams decided to join which is why the campaign was a huge success with a lot of beautiful and funny postcards as a result. Of course we wanted to continue this tradition. How does this postcard exchange work? Every participating team has to design a postcard which shows an image related to synthetic biology or their topic on the front and a small informational text on the back. We reached a lot of iGEM teams by showing off postcards from the previous years on Instagram and other social media accounts and were also the first ones to post on the Collaboration page of iGEM 2018. A lot of iGEM teams responded who wanted to channel their inner creativity and design their own postcard about their project or synthetic biology in general. We had 37 participating teams in total. In addition to that we also collaborated with iGEM TU Delft who introduced our postcard project on their Eurasian meetup in Shenzhen, China. A lot of iGEM teams brought their postcards to the meet up. The first postcards arrived on July 18 from iGEM Taipei, Taiwan. From then on, every day we eagerly waited for the mail to arrive and were often rewarded with packages containing new, beautiful postcards from all over the world. One time we had to go all the way to the custom service since one team forgot to declare their content. Another time we received an empty package without any postcards! Unfortunately the postcards had fallen out during shipment or delivery. But luckily (!!!) the team had some postcards left which they were able to send to us - and finally they arrived. After we had received postcards from (almost) every team, we started sorting them, glueing addresses on them and putting them into packages. Each participating team received one stack of postcards from other teams and another stack of various postcards with the addresses of the other teams. Afterwards each team’s postcards were exchanged with other iGEM-teams so that every team received postcards from all over the world. The postcards were then shared with people in the neighborhood, during public events etc. In spring of this year a producer of robots for pipetting automatization, Opentrons, announced an event, where iGEM teams from around the globe would get a chance to win one of 10 free OT-2 robots. The condition was sending an abstract of our project and arguing how exactly our team would benefit from this addition. We sent our freshly written scientific abstract and we were among the 10 winners out of the 77 teams who had applied. We were more than happy to get our hands on an OT-2 and very thankful to Opentrons for giving us such an amazing opportunity! We also had the great honor to personally skype with one of the Opentrons and iGEM Measurement Committee members and this year’s judge, Kristin Ellis. She was very kind and offered us help with anything we might need in the next few months. In addition to that we were invited to subscribe to the Opentrons forum and stay in touch not only with other iGEM teams who won the same robot, but also with the Opentrons community. iGEM TecCEM wants to bring joy to the world and simultaneously educate the public by making a cover song of “Girls like you” and “Moves like Jagger” from Maroon Five with funny lyrics about science and the iGEM competition. We are glad to be a part of this very cool project! A great way to educate kids is through pictures and stories. 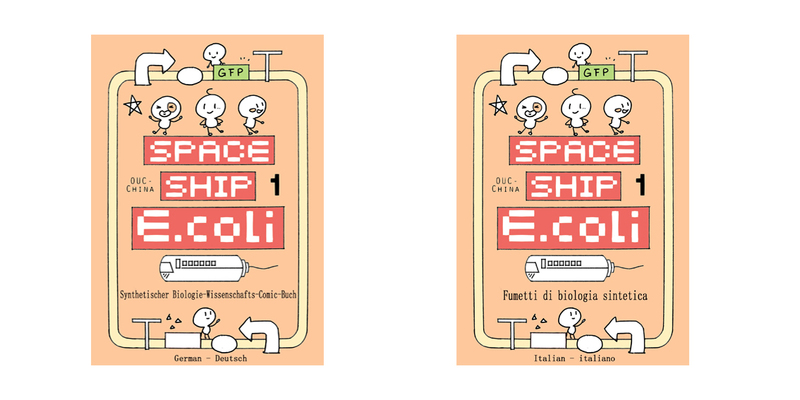 Since we knew about OUC China’s idea to create a comic book about synthetic biology we were on fire to help translating everything into German and Italian. The final comic book is really cute and explains the basics of synthetic biology in an easily understandable and educational way. Since we use the same organism S. elongatus it was easy for us to exchange our knowledge in a Skype interview. The iGEM team of Stony Brook sent us helpful papers and we gave them some insight into our work with cyanobacteria. In order to further educate ourselves on topics regarding dual use, some of our members went to Bielefeld on July 11 to listen to a panel discussion on the topic "Dual Use Research of Concern" organized by the iGEM Team Bielefeld and the Biotechnologische Studenteninitiative (btS) e. V. Bielefeld. Dual use is defined as technology or equipment designed or suitable for both civilian and military purposes. It refers to research or knowledge that is done for the benefit of the society but can pose a threat to the security of public safety and health, the environment or living organisms if falling into wrong hands. Several experts attended the event who deal with biosecurity, laws and ethic on a daily basis and were able to inform us about current regulations and committees. 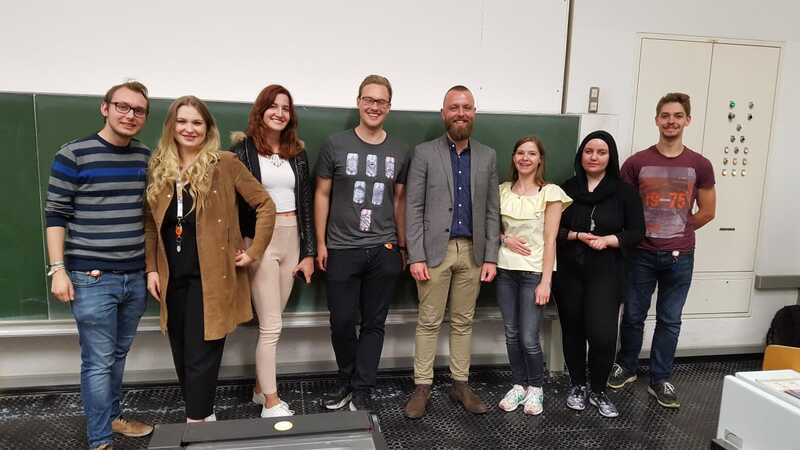 These experts were Prof. Dr. Alfons Bora (Faculty of Sociology, University of Bielefeld), Prof. Dr. Kathryn Nixdorff (Leopoldina, University of Darmstadt), Irina Rais (student at the University of Bielefeld and member of its iGEM Team) and Dr. Tom Hobson (University Bath and iGEM Safety Committee). The focus has always been on the questions: Where are the limits of science and should it be limited? And how great is the risk of misuse of science? Irina presented us the results of a Germany-wide survey conducted by the iGEM Team Bielefeld. They showed the reason for this panel discussion: Students as well as a lot of researchers often didn’t know about dual use, regulations and appropriate authority. After this, a discussion between the audience and experts started where it became clear, that the definition of biosecurity and biosafety was still an issue. Also the information regarding the laws are not yet clear. Everybody agreed upon one point though: Dual use needs to be implemented in educational programs. After the panel discussion we were invited to a nice restaurant by the iGEM Team of Bielefeld. We had to walk through pouring rain in order to get there, but it was well worth it. In a comfortable atmosphere (next to a fire place, where our clothes were able to dry) we ordered delicious food and drinks and watched the highly anticipated soccer game England versus Croatia. In addition to that we discussed the results of the panel discussion, our current status and problems with not only the Bielfeld team but also the team of Hamm-Lippstadt. After arriving home it became evident that we also had to check our project for dual use issues because we had never heard of it before. This is why the iGEM Team Bielefeld gave us informational powerpoint slides that can be implemented in Safety instruction briefings. We met team Eindhoven at the European Meet Up in Munich and their topic immediately caught our attention, as during our initial brainstorming sessions at iGEM, we thought about a similar project. However, we encountered many difficulties when thinking about possible challenges and therefore did not decide to chose that topic. However, all those brainstorming sessions about these challenges allowed us to help team Eindhoven and advice them to think about upcoming problems. They were really glad that we supported them with those thoughts and we stayed in touch throughout the iGEM session. They work with S. elongatus as well so we decided to get in touch and talk about this organism. Team Kazakhstan had some troubles transforming their cyanobacteria so we took a look at their transformation protocol to find possible adjustments and also included some of our working protocols. Team Toulouse came up with the iGEM teams worldwide Instagram account where every interested iGEM team was able to post for a week to show everyone their project and team. We took initiative and posted pictures for one week. The team US AFRL Carroll HS created a “Flat Stanley” called Mike the Microbe that was sent to us as a social media outreach platform. He visited us in our lab and we took pictures with him in our lab. The iGEM team FAU Erlangen wants to enlighten the world about their project through a short video. They asked us to help translate this video to Italian so the video can reach more people around the world. During our project we sadly came to the realization that a lot of people are uninformed about co-cultures and the many benefits they offer. This fact did not only present itself to us, but also to the iGEM team of Waterloo, whose project is dealing with co-cultures as well. This is why both of our teams decided to join forces in creating an educational video about microbial consortia. 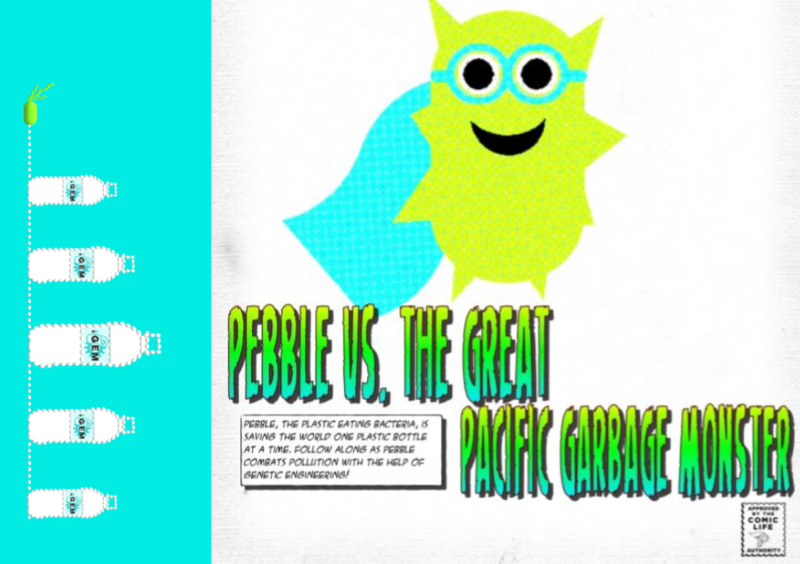 We included a lot of analogies and examples to make it easily understandable for people without a scientific background. Due to their creative skills following video was produced. Have a look! Surveys are a great method to collect a lot of data on the opinions or knowledge of society about a certain topic. We have designed our own survey and are very pleased with the advantages of this method. For this reason, it was very important to us to participate in and share the surveys of other iGEM teams to help them.